What is Rare / Exotic / Unique? This is our default theme, intended to give us the greatest flexibility in putting vehicles into the front Featured lot. We will be using this default theme for approximately half of our 2018 events. How do you define this theme? As we often have over 400 vehicles per day, we leave the weekly selection of Featured vehicles up to one or more of our volunteers. That ensures that no one person always makes all the decisions, and a diversity of interests can be represented. Sorry, no bribes accepted! That is the beauty of it – it is up to one of our volunteers each week to make this decision. In return for working as Ground Control, volunteers may be given the opportunity to use their personal interests to set the definition for the day. One volunteer may prefer German or Italian on one Saturday, while another volunteer may prefer American muscle the next weekend. And if we end up with a Featured lot that has predominantly boxy 70’s gas guzzlers, then it will make for some interesting photo galleries. 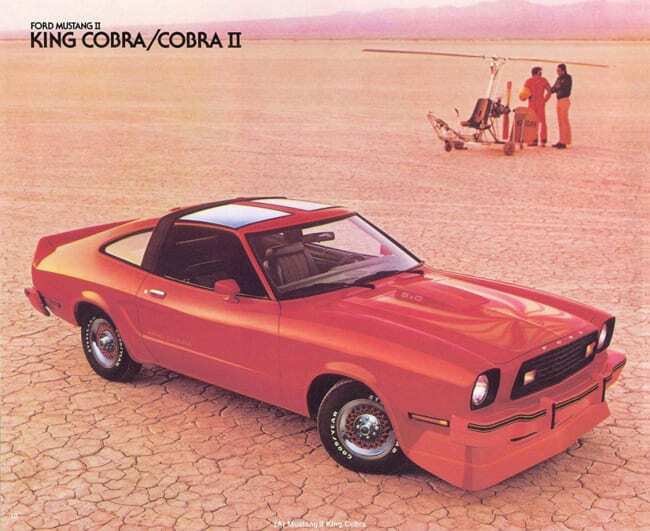 And hey, yes a Mustang II King Cobra would likely be put in the Featured lot on a Rare / Exotic / Unique day because it would likely be the only one we see that day. Plus Mark really likes Mustangs! If you want to have a turn at selecting vehicles for Rare / Exotic / Unique day, the first step is to ask about becoming a Ground Control volunteer. Find an orange shirt, and ask us how!